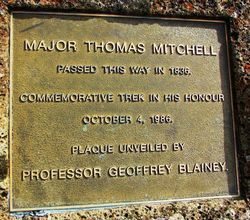 A monument commemorates explorer Thomas Mitchell who journeyed through this region in 1836. A commemorative trek was made in his honour in 1986. Passed This Way In 1836.